Also known as Adventure Climbing Wall, Climbing Equipment Hire, Portable Climbing Wall and Vertical Reality Wall. Are you feeling daring and adventurous? Fun Leisure is ready to strap you in and set you on your way with our Climbing Wall Hire. Race your friends, family and colleagues to the top and show who’s the big boss. 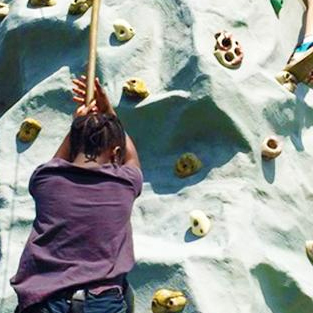 If you’re looking for that extra wow factor if you just want to show off, this adventure climbing wall hire is a perfect party treat for any occasion. The thrills await the guests at your next event. New for 2016/17, our mobile climbing wall hire can bring you the adrenaline rush of climbing without the need to trek out into the open, Bring vertical reality to you. The Mobile Climbing Wall is BIG, standing at a whopping 7.5M tall, it provides the challenge and rush for any contender. 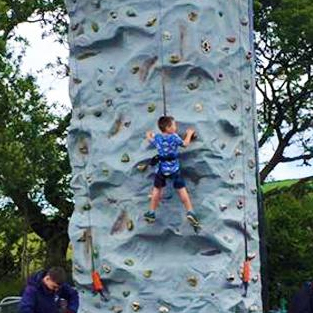 Fun Leisure’s Portable Climbing Wall Hire can be used by four rock climbers at any given time with two Fun Leisure operators on hand to assist with all safety aspects. Suitable for both children and adults (psst, we don’t like to restrict the fun to any age). 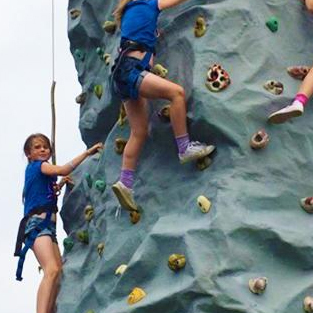 Fun Leisure UK’s Mobile Climbing Wall uses the latest in safety technology. An automatic relay system is a place to control the decent of each rock climber; this will ensure a steadily decent to the ground. All participants are supplied with climbing harnesses, given a full safety briefing and supervised at all times by a member of our team. Fun Leisure understands you can never guarantee the British weather, so this Mobile Climbing Wall is suitable for indoors and outdoors use. Say Howdy to Vertical Reality! Get your hearts racing and muscles aching with one of the tallest portable climbing walls of its kind. This complete adventure experience is ideal for family fun days, private events and corporate team building. Fun Leisure has additional customisation and branding options available to take advantage of this for your next exhibition and product launch. Browse more team building ideas and products here.